Renting a boat is a great option if you’re traveling without your vessel or don’t currently own one. And while boat rental may seem like a pretty straightforward process — just put down a deposit, grab the keys and go — there are a few things to keep in mind to ensure that you have a safe and fun-filled day on the water. 1. Get what you want. If you’re planning on a day of fishing with the guys, a ski boat isn’t going to cut it. Phone ahead and make sure the place you hope to use offers a deckboat, runabout, sailboat or whatever kind of boat that you want. 2. Make a reservation. Do you have a specific day in mind for renting a boat? Better make a reservation. There’s nothing worse than getting everyone all geared up only to discover that no boats are available when you’re standing at the rental company’s front desk. 2. Shop around. Most companies offer half-day, full-day or multi-day rentals. Choose the option that best fits your needs. 3. Do a walkthrough. Before handing over your credit card, make sure your rental boat is well maintained and in good working order. Ask the rental operator to give you a full walkthrough and to point out the location of important items like bilge pumps, battery switches and so forth. Confirm that the required safety equipment is on board and that it, too, is in good working condition. 4. Be prepared. Don’t underestimate the preparation you need to make if you’re renting in a new area or driving a new kind of boat. Any vessel you rent needs to have the latest charts or maps so you can navigate safely. If this is your first time on a sailboat, pontoon boat, etc., make sure you’re extra careful and know how to safely pilot the craft. 5. File a float plan. Even if it isn’t required by the rental company, do it; especially if you’re in an unfamiliar area. Make sure you know how to use the onboard radio (if there is one) and take your mobile phone and a list of numbers of who to contact if you get into trouble. 6. Check your insurance. There are insurance considerations when you rent. It is not like renting a car. Most rental companies have liability insurance that protects them, but provide no insurance coverage to protect you. 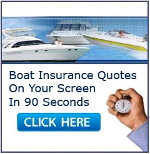 Our Boater’s Assistance program does provide liability coverage if you rent a boat but there are limitations. Nice article about Boat Rental Tips. Thank you for sharing.